A new study shows the spike in pedestrian fatalities in 2015 appears to be the largest annual increase ever. WASHINGTON — A new study shows the number of pedestrians killed in traffic crashes in 2015 nationally increased 10 percent in the past year — the largest jump since nationwide records have been kept. In its annual “Spotlight on Highway Safety Report,” the Governors Highway Safety Association compared the number of pedestrian fatalities for the first six months of 2015 (2,368) with the same time period of the previous year (2,232). After adjusting for anticipated underreporting associated with the preliminary data, researchers anticipate the final 2015 pedestrian fatality total will be approximately 10 percent higher than 2014. 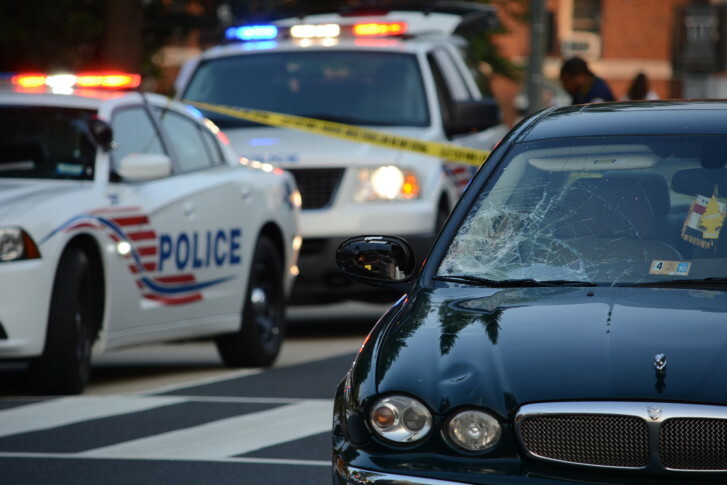 The District of Columbia reported a 40 percent increase for the first half of 2015 — seven pedestrian fatalities compared with five during the same time period the prior year. Virginia saw a 9 percent increase: 38 pedestrian deaths in the first half of 2015, up from 35. Maryland saw a 13 percent decrease, with 40 killed in 2015, compared with 46 in 2014. “Obviously we’re concerned,” said GHSA executive director Jonathan Adkins. Adkins says distraction is likely responsible for many of the crashes. “Any time you go out you see people walking and looking at their phones and you see drivers driving and looking at their phones,” he said. Ironically, the rise in pedestrian deaths coincides with the increase of people walking to improve their health. “We don’t want to discourage people from walking, so we want to get people out and have a safe route, whether they’re going to work or to school, or just for something fun to do,” Adkins said. States reported a wide range in the number of pedestrian fatalities in 2015. 26 states and the District of Columbia had increases, 21 reported decreases and three states had no change. The report found more pedestrian fatalities tend to occur in large states with large urban centers. California, Florida, Texas and New York accounted for 42 percent of all pedestrian deaths in the first half of 2015. However, when population is taken into account, the states with the highest fatality rate per 100,000 population were New Mexico, Florida, Delaware, Nevada, Louisiana, South Carolina, and Arizona. To reduce the number of pedestrian fatalities, the GHSA study recommends improved road engineering, with increased use of refuge islands and overpasses for pedestrians, as well as lighting and high-visibility crosswalks to illuminate pedestrians. Adkins says collision avoidance technology in automobiles may help somewhat. “Vehicles are becoming safer and more crash-worthy, but of course pedestrians aren’t,” he said.